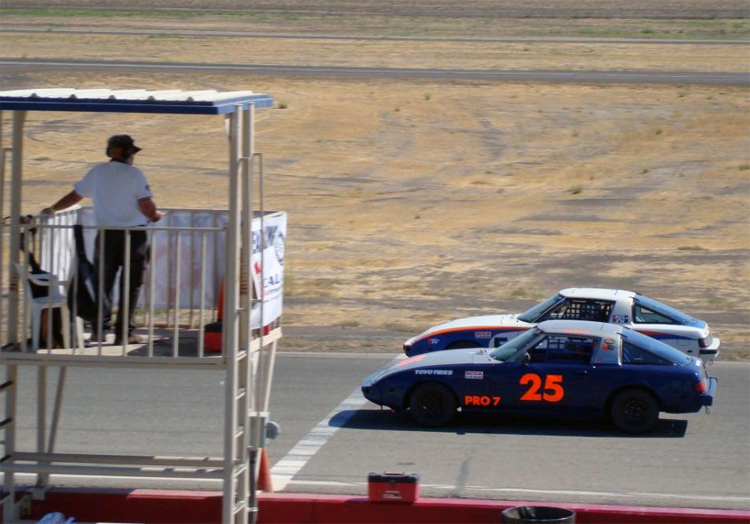 Carlsbad, California teenager Jacob Pearlman is transitioning from karts to race cars. Pearlman capped off the first week of his senior year in high school by running the double race regional Sports Car Club of America (SCCA) event at Buttonwillow Raceway in Buttonwillow, California. Pearlman faced a lot of challenges and had to find speed on race day in the car. “I only drove this track in the clockwise direction once, prior to this race,” said Pearlman. On Saturday, Pearlman had only 10 laps of warm up and 10 laps of qualifying to look forward to before the 14 lap main. Unfortunately, after only three laps, his Mazda RX had problems. By the time the crew repaired the car, both the practice and qualifying sessions were over. Pearlman had to start in the back of the field for the main event. Pearlman was able to pick up several spots early in the race, but eventually finished in the middle of the pack in 5th place. Sunday’s race day was completely different. Pearlman was able to use his limited Saturday track time to his advantage. He qualified in the middle of the pack and soon moved up to the front of the Pro-7 field. Pearlman and fellow K&N supported racer Ken Tucker ran door-to-door and bumper-to-bumper as they sought an advantage in pursuit of the podium. After 10 laps of action, Pearlman’s pace slowed because of more problems with his race car and eventually finished in 5th place. 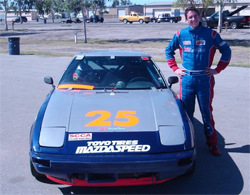 Pearlman will return to SCCA Pro-7 racing and the Buttonwillow Raceway in October for the SCCA CalClub final event of the year.